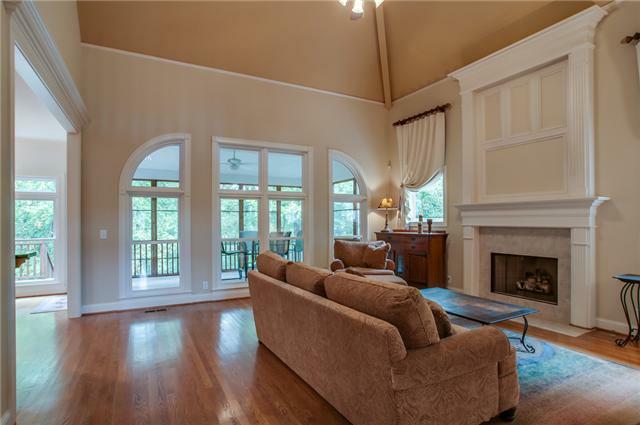 This beautiful three-story home nestled in The Estates of Bonbrook features a beautiful lawn, landscaping and tree-lined back yard, decking and screened porch that are hard to resist. 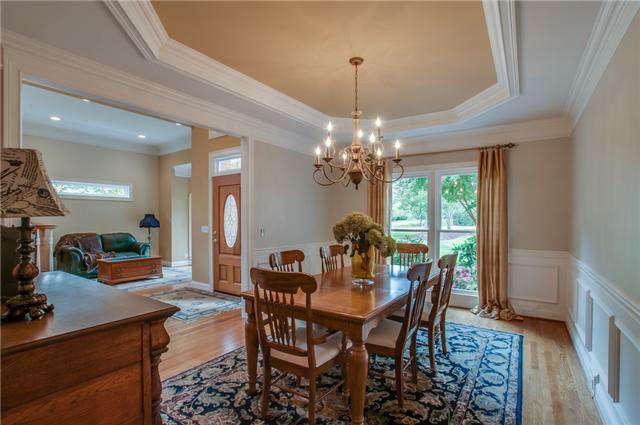 The home is attractively priced at $674,900. 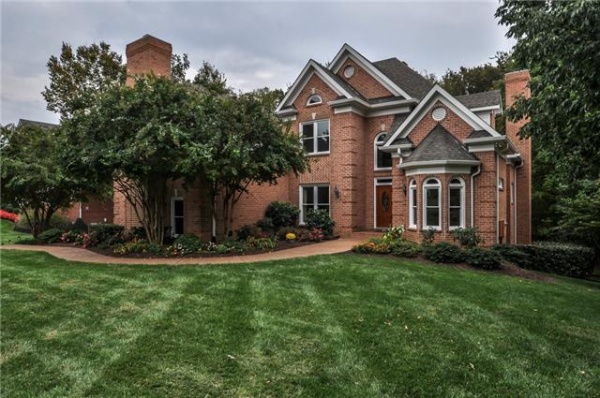 But it’s the interior that will sell you on this 4,931-square-foot brick home built in 1999 and located at 9615 Brunswick Drive. 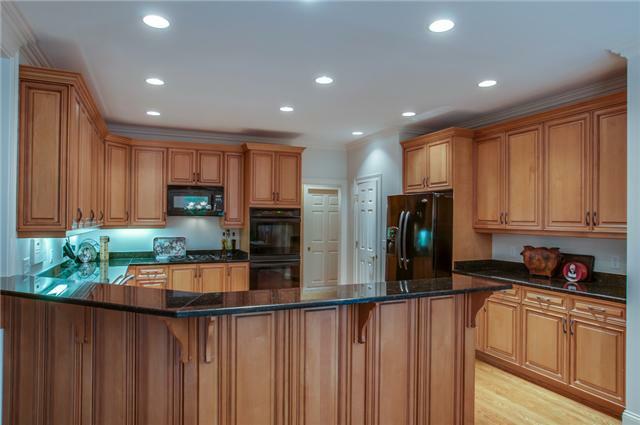 Beautifully updated, the two-story home with a full basement has five bedrooms, 3.5 baths and bay parking for four vehicles. 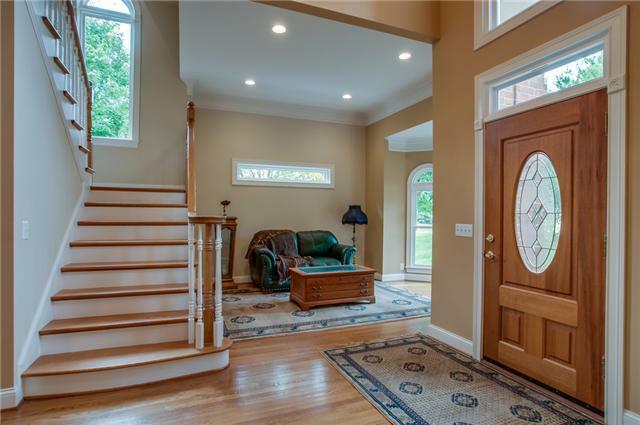 A large foyer that flows into the living and dining rooms is filled with natural light. The neutral colors and classic architecture found throughout the home will adapt well to any decorating style and color scheme. 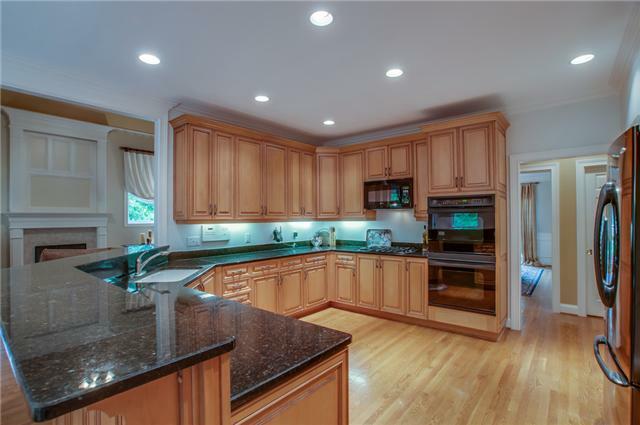 Moving from the formal rooms, the huge kitchen will no doubt be the central gathering spot for both the immediate family and entire Little League team or the office holiday party. 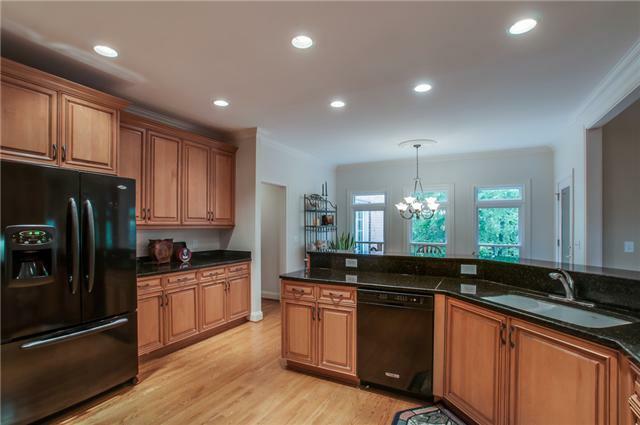 Beautiful cabinetry is enhanced by the hardwood floor, granite counter tops, recessed lighting, crown molding and undercounter lighting. The workhorses of the kitchen, however, are found in the appliances: double GE Profile convection ovens, a Thermador gas cooktop with griddle and KitchenAid dishwasher. 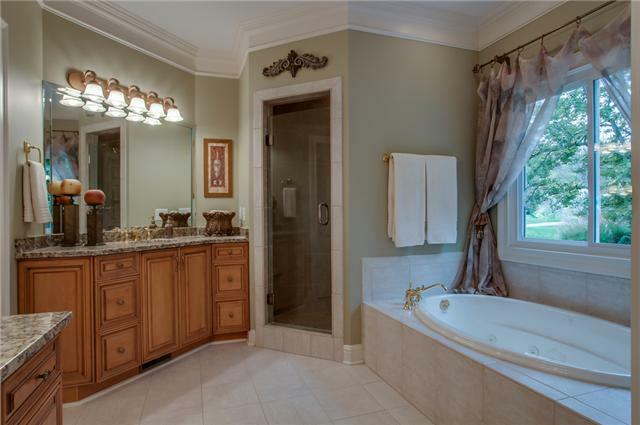 A Kohler undermount double sink with pullout faucet can tackle any cleanup. 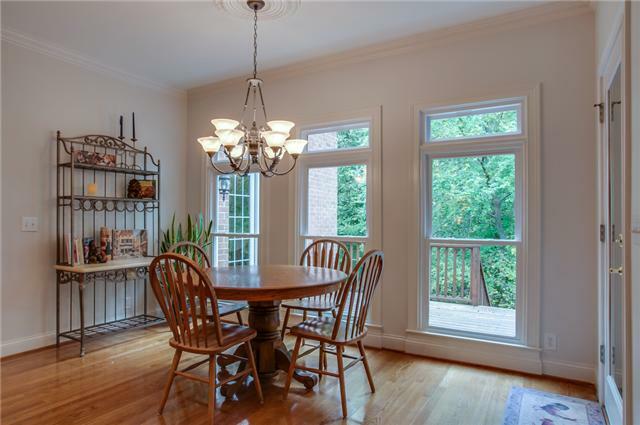 There’s high bar seating in addition to the adjoining breakfast room that has both access to the screened-in porch and an incredible view of the tree-lined back yard. 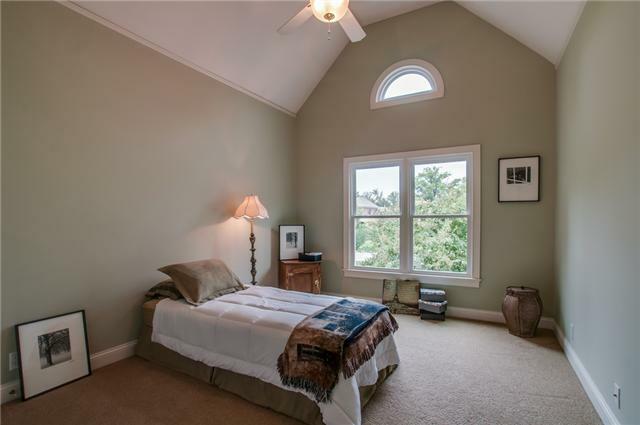 The 18-by-17-foot master bedroom has beautiful vaulted trey ceilings and a ceiling fant. 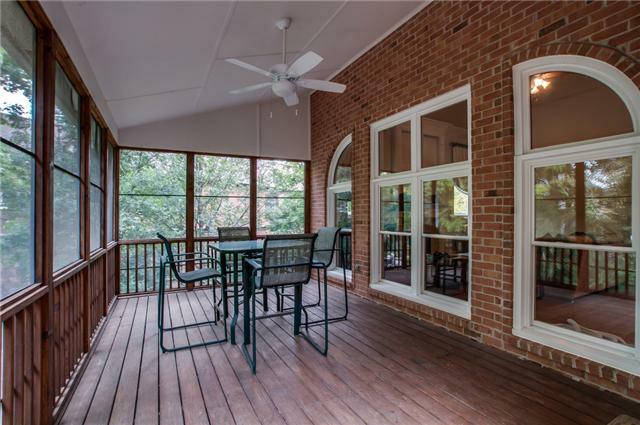 French doors lead to the open deck area. 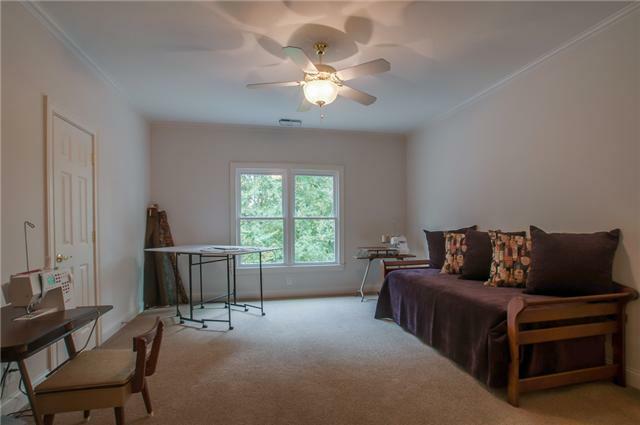 In the master bath, there’s plenty of room for two, with double vanities with undermount sinks, a make-up counter, a jetted tub as well as a stand-up shower, and an oversized walk-in closet. 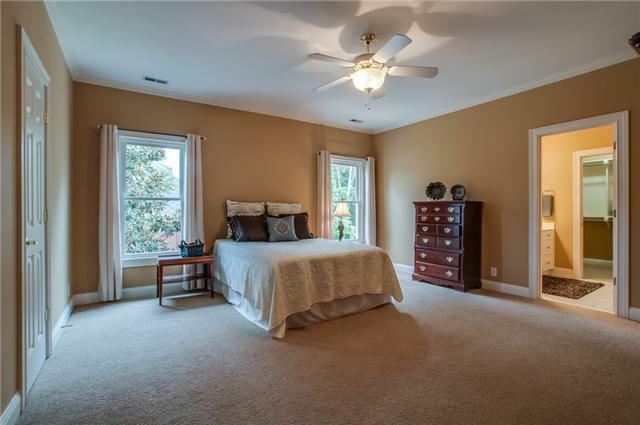 Upstairs are three additional bedrooms, including a second-floor master. 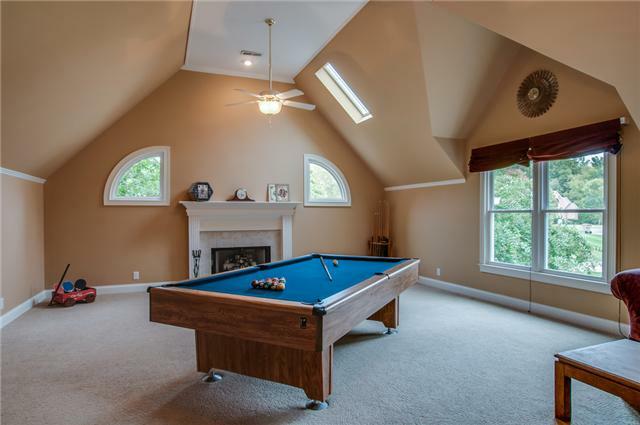 A huge rec room has Frieze carpet, vaulted ceilings, intercom access, two skylights and a gas log fireplace. 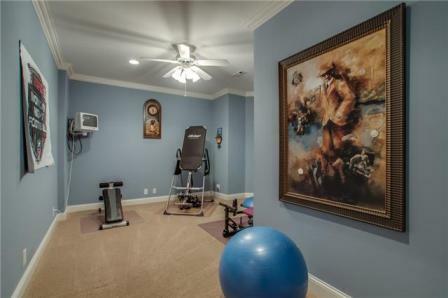 It’s easily accessed by a back staircase. Finishing where we started, the private and irrigated .55-acre lot comes with a fenced back yard perfect for children and/or pets. The established landscaping provides year-round color. 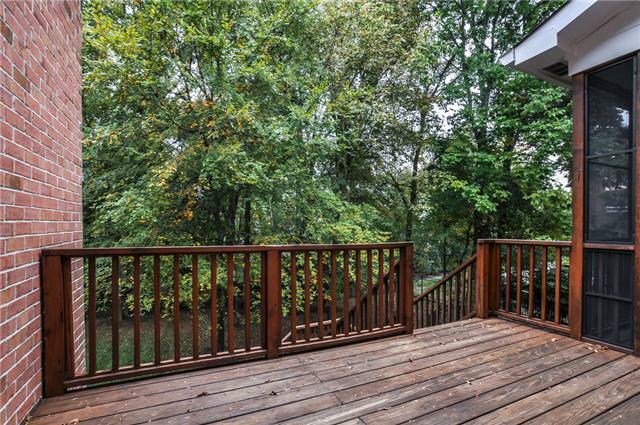 This home is zoned for Edmondson Elementary, Brentwood Middle and Brentwood High schools. 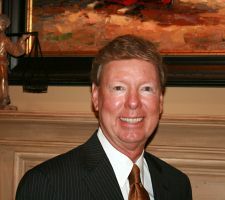 For more information, contact Andy Beasley at 373-2814.